The dog days are over and before winter arrives here in the northern hemisphere, in one of the last summer weekends—when we might still be hot enough to appreciate stories of cold weather—I thought it might be fun to look at the origins of the legends of the long winter in Westeros and the threat “winter is coming.” (My apologies to everyone in the southern hemisphere who is currently in winter!) This is the first of a two-part post. As we all know, the motto of House Stark is “Winter is Coming.” The motto reminds members of the house to prepare, be on-guard, and be vigilant. Winter hits Winterfell and the Stark lands the hard, since they are so far north. As lords of the north, the Starks must remember their responsibility to shepherd and protect their people in these winters: being alert and prepared is essential. Traditionally, winter symbolizes death and also purity. Historically winter is a time of scarcity and famine. Some Russian fans asked George RR Martin what Westerosi do when winter lasts that long, his reply was “starve.” Well, actually, he said a bit more than that, but eventually the food runs out and everyone dies. There are many theories about not only the origin of the long winter in Game of Thrones but also the science behind it. George RR Martin may have found inspiration in mythology or the epic fantasy tradition. 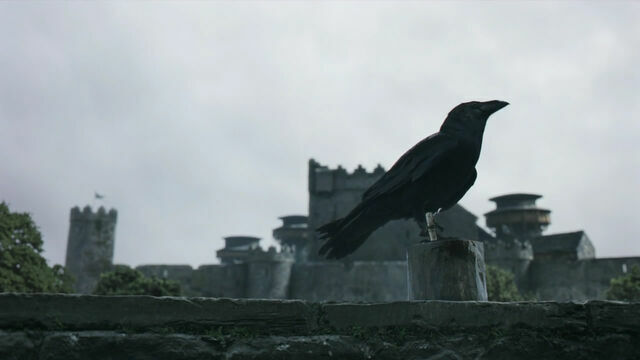 Ultimately, this article will look at possible historical inspirations for the winter in Westeros. The Fimbulwinter legend may have originated from the climactic change in the Nordic Bronze Age. Around 850BC to 760BC, Scandinavia went from being a warm-ish climate with good crop yields to a colder wetter climate (perhaps an early Little Ice Age). In Game of Thrones, the long winter is the hidden menace, waiting, creeping, and slowly building while the rival claimants to the throne waste valuable men and resources on war. Westerosi soldiers die who could fight the White Walkers. Food is squandered. Crops neglected as armies fight. Already, starving people have rioted for food in King’s Landing. With all the supplies used by the armies, how will the lords provide their subjects with food when winter finally does come? Joffrey just after a starving rioter throws cow dung at his face, during the King’s Landing Riot. In response to the attack, Joffrey commands his soldiers to “Just kill them! Kill them all!” The riot began when Joffrey ignored the starving crowds pleas for bread. ©HBO via Wikia. During Season 3, House Tyrell began sending food to King’s Landing as part of its alliance with the Lannisters. In “Valar Dohaeris,” Margaery Tyrell says that they send 100 wagons of apples, wheat, and barley each day. But, can this last until the war ends? Will the impending winter exhaust the Tyrell stores as well? When I first began looking at this topic, I did so because as a Canadian, I have strong feelings of hate and sometimes fondness about snow. (I read Brian Fagan’s The Little Ice Age years ago and loved it.) The more research I did, however, the more Game of Thrones has begun to feel like a symbolic meditation on the futility of war. I found myself imagining George RR Martin wanting to scream at the fifteenth-century kings: “WTF?! Why are you fighting when your subjects are starving?” In Game of Thrones, as winter and starvation steal inexorably closer, kings neglect their subjects to battle over territory and succession – all ultimately devoted to further aggrandizing their own egos. The prime case for this is the Hundred Years War, one of Martin’s self-confessed inspirations for the A Song of Ice and Fire series.3 All the problems of the fifteenth-century—the Great Famine, the low-crop yields, the populations who lived on the razor’s edge of starvation, whose weakened bodies were ripe pickings for the Black Death—were made worse by the war. But, it was the weather that caused many of these problems. Perhaps, appropriately, in Game of Thrones, the weather is the backdrop to everything. Is academia embracing Game of Thrones? And, if so, what does this mean? Does it mean the world is changing or simply that Game of Thrones is worthy of analysis? Recently, I learned from David Levesley’s great Mic.com article that the University of Virginia is offering an English summer class on Game of Thrones. The course aims to use literary techniques to teach students how to analyze television. Instructor Lisa Woolfork describes Martin’s work as follows: “Literarily speaking, it’s very diverse and rich text….